Covers the testing and certification of new, as-built cleanrooms, clean-air devices and mini environments according to user-defined or standard test methodology. Testing is normally done according to internationally recognized standards and recommended practices such as the ISO cleanroom standards and the IEST recommended practices on contamination control. Includes the periodic testing and certification of operational cleanrooms, clean-air devices or minienvironments to ensure continued compliance of critical parameters like airborne particle levels (cleanliness class), airflow velocity, pressurisation and temperature/RH to sanctioned levels. Training is available in Cleanroom/Minienvironment Performance Testing and Certification, ISO Cleanroom Standards and Application, Implementation of a Mon ito ring Plan for Periodic Verification of Cleanrooms as well as Basics of Cleanroom Testing for technicians and engineers. The training could be a half-day affair or span a full-day seminar incorporating practical sessions. Involves an assessment of cleanroom facilities followed by a written mon ito ring plan based on ISO 14644-2 Cleanroom guidelines. The mon ito ring plan covers the frequency of re-testing, the sampling plan, parameters to be mon ito red, acceptance limits, remedial-action or contingency plans, compliance verification plans and training requirements. 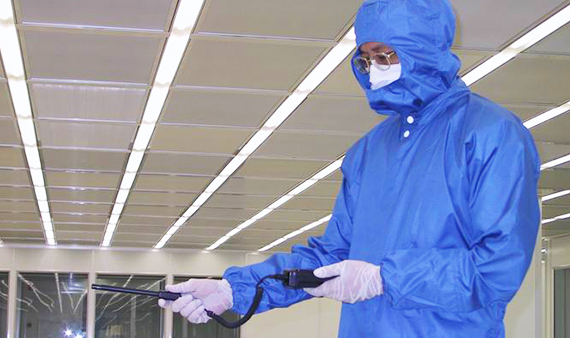 Involves an objective assessment of the cleanroom or clean environment with regard to particle contamination. Includes performance of a series of tests and perhaps data collection via real-time monitoring hardware/software and then proposing recommendations on how the contamination can be reduced and/or controlled. 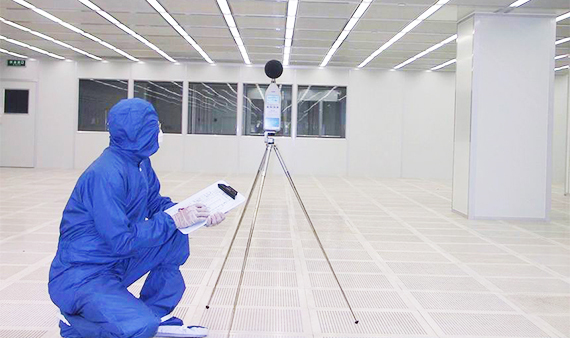 In some cases an air visualization study will be conducted to assess the airflow within the cleanroom. 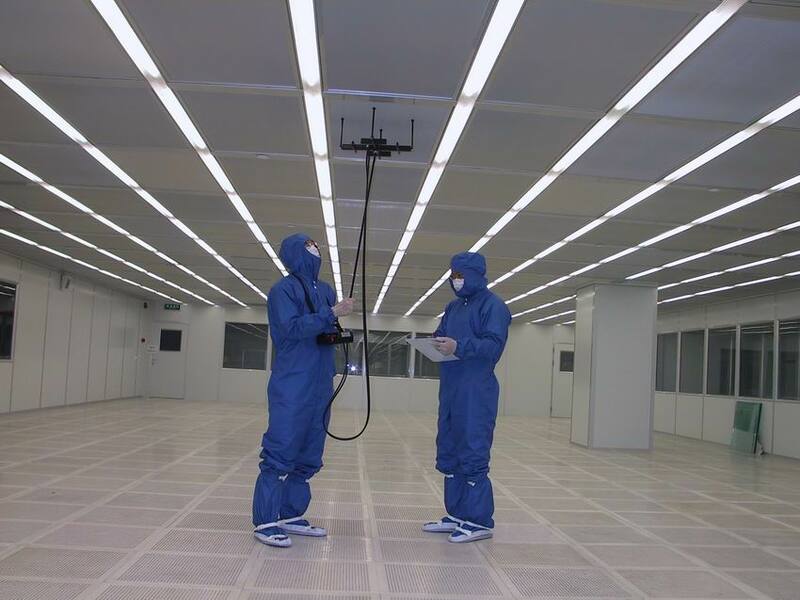 Testing of materials like fans, motors, fan filter units, conveyor parts, etc., to ascertain their compatibility to cleanroom cleanliness classes with regard to particulation. This involves formulation of a detailed test plan based on test methodology, parameters to monitor, duration of mon ito ring and acceptance criteria. In most cases the conclusion is drawn based on a proper statistical analysis of the results obtained. 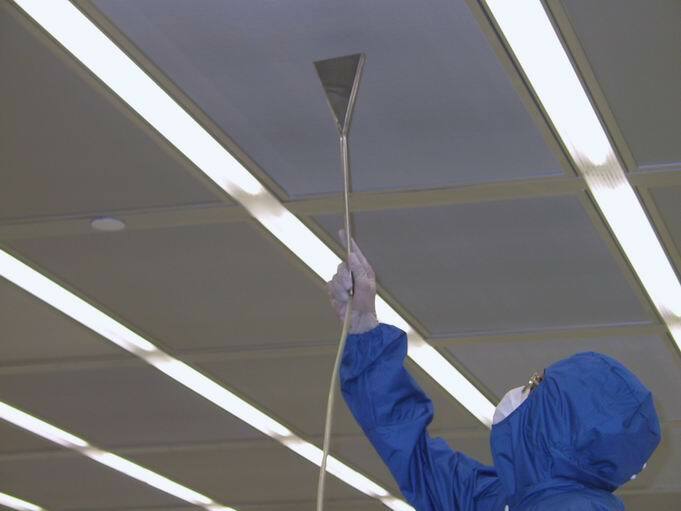 Some cleanrooms which are vulnerable to an intermittent trend of particle contamination, longer-term studies need to be done to ascertain the sources of the contamination. Through the use of appropriately placed remote particle sensors and software, a study can be devised that mon ito rs the particle trends at different locations within the cleanroom facility, over time and space. After a period of time, based on the trend and results obtained, the sources of contamination can be detected, and then remedial action taken. In most cases such studies take anything between one week and a few months to complete. Entails the utilization of standard or modified particle counters to measure the airborne particle counts within compressed air piping, de-ionized water and speciality tools within clean-air devices, according to recognised test methods and protocols.